I just want to start off by saying that I love conferences! This is the second year that I have attended Real World PR in Atlanta and I can honestly say it is just as good, if not better, the second time around. 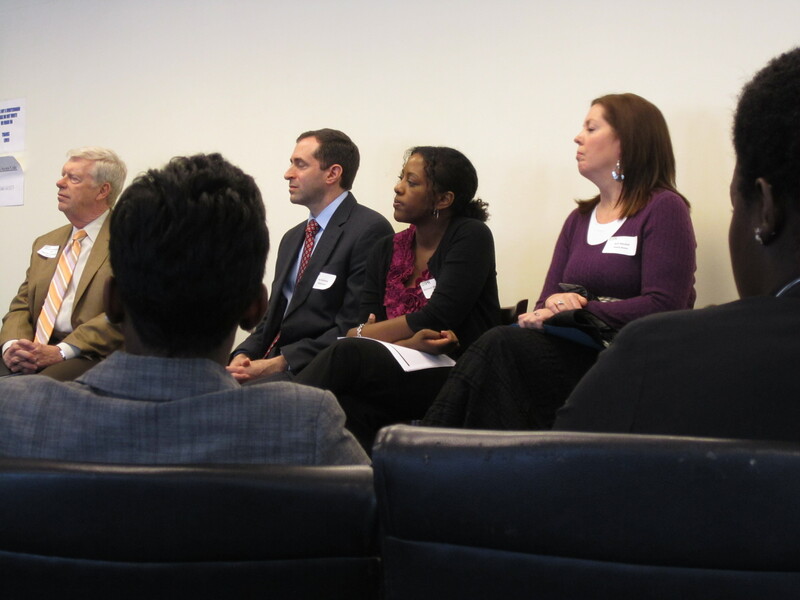 There were great panelists, awesome networking opportunities throughout the day, and a career expo. This post is mainly a reflection of my experience at Real World this year. Last year I wrote separate posts reflecting on each session that I attended, but this year I am going to try to fit it all into one, which is difficult to do considering all of the useful information I took away from each session. If you have never attended this conference before you should definitely go next year! The way it works is there are four sessions throughout the day, with an opening session at the very beginning to welcome everyone and a luncheon with the Georgia PRSA Chapter. I have included some pictures that I took throughout the day, so enjoy! This year, Stephen M. Brown of MSL Atlanta was the speaker during the opening session. He did a great job of reminding everyone that networking via social media is great, but face-to-face networking is still important. Think of 5-10 companies you would like to work for and follow them! See what they are doing. Business card= stay in touch! Leave with plans to follow up. Elevator speech! Make an impact when you give it. Introduce yourself and give an example of something you have worked on. This was definitely a memorable opening session and I took so many things away from it. Yes, networking is still important and with social media being on the rise it definitely aids in making connections, but take these connections offline as well! This year I was able to connect with individuals in person at this conference and PRSSA National Conference that I have been tweeting with for a while now (Ian Bridgeforth, Monica Earle, Alana S. Robinson, Desiree Mahr, Raquel Lute, Jen Lesshafft) and it is great! (These are the wonderful friends I am pictured with above! :))I was also able to connect with a professional (Kent Landers) that was speaking at conference using the hashtag #RW2011 prior to the actual conference. I absolutely love Twitter for this reason. Session One- Social Media: For Business or Pleasure? Last year I attended this same session, and the reason I chose to go to it again this year is because of how involved I have been with social media in the business setting since conference last year. Last year I was just getting into Twitter and my Facebook was way more personal. After this particular session a year ago I cleaned up my Facebook, joined LinkedIn, started using Twitter to share my knowledge and learn, and really got into blogging. Evaluate every new social media tool that comes out and decide if it is good for your business. Technology cannot replace human intelligence when it comes to monitoring social media. A student during this session asked a great question about how relevant social media will be in five years. While this is a tough question to answer, I am very interested to see what social media is like in five years and what new technology we may have. This was an awesome session to attend, especially since I just completed the campaigns class at my university. Paul Wright of Fuzebox, Inc. and Kristy Grulikowski of Porter Novelli informed us of the campaign they have teamed up to work on about cyber-bullying. 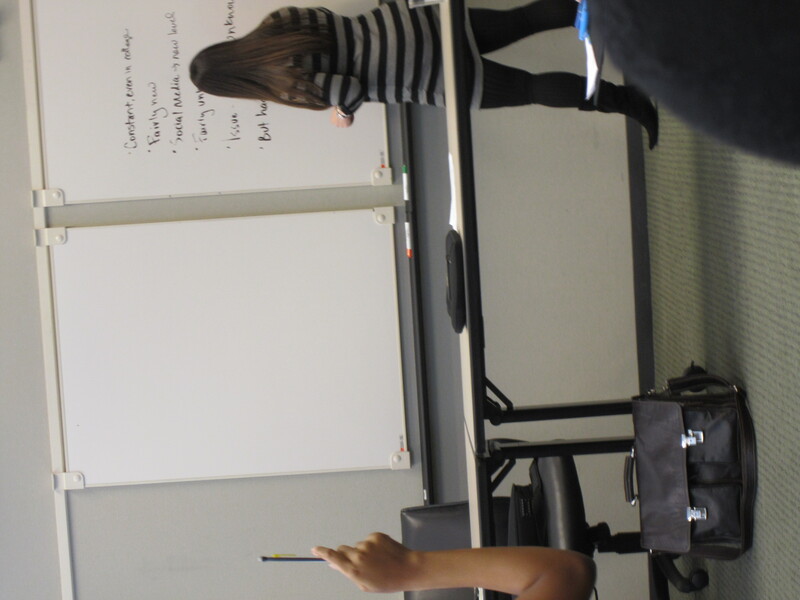 The best part about this session was it happened to be a huge brainstorming session for everyone that attended it with Fuzebox, Inc. and Porter Novelli. I am very excited to see what happens with this campaign, because it is definitely important to put a stop to cyber-bullying. Clients want bang for their buck! Spend a lot of time up front learning about the target audience. Scare tactics do work, like the Truth Campaign. The luncheon this year was fantastic. Don Perry (Vice President, Corporate Public Relations, Chick-fil-A) and Mark Baldwin (Senior Consultant, Corporate Public Relations, Chick-fil-A) were the speakers and the offered great insight on the Spicy Chicken Sandwich Campaign that Chick-fil-A recently had. The Spicy Chicken Sandwich was the first new sandwich Chick-fil-A has had in 20 years. Online reservations for the new sandwich. This is something new in the fast food world and for individuals that made reservations they were treated like special guests. 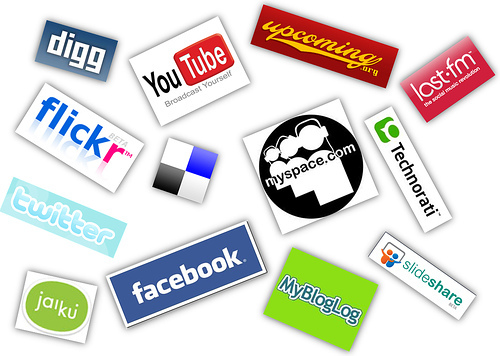 Social media sites utilized: Facebook, Twitter and YouTube. 10,000 tweets about the new sandwich. Coverage in more than 95 cities nationwide. Total number of Spicy Chicken Sandwiches sold during the first week: 1, 777, 083! 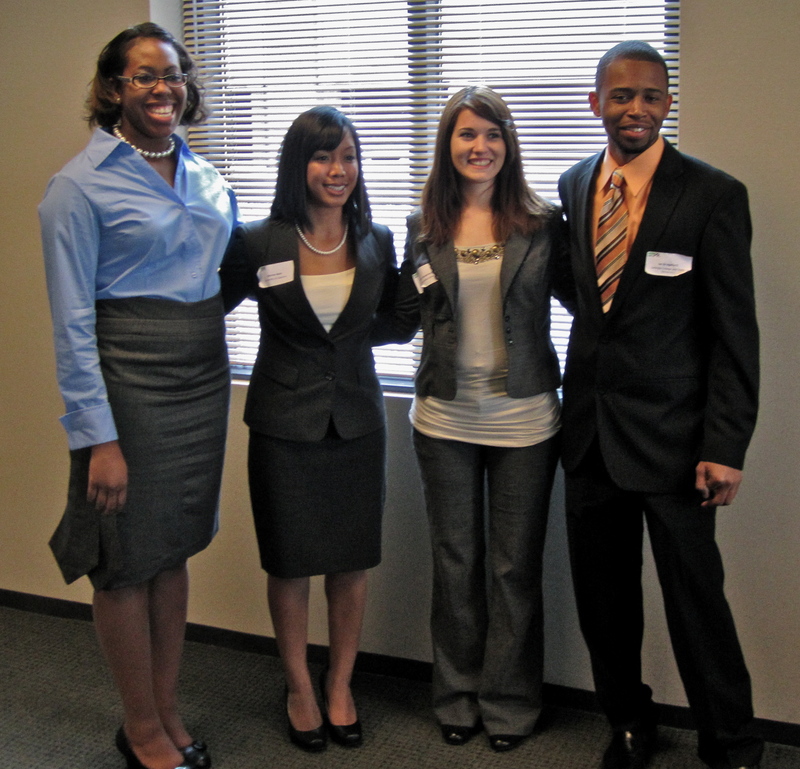 This session offered a chance to visit the career fair and meet professionals from PR agencies around Georgia and a resume critique. 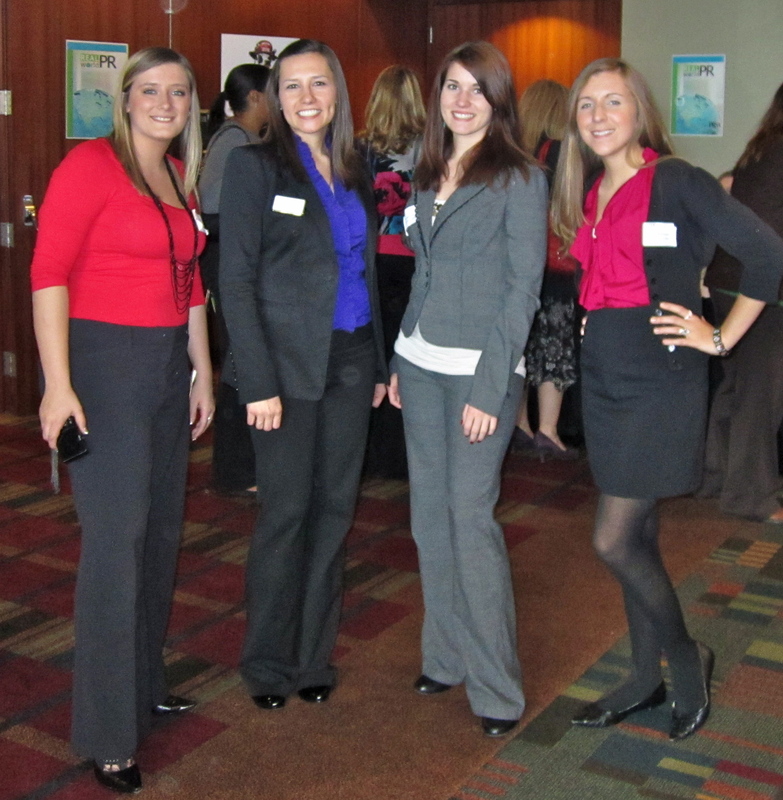 It also offered a chance to network with fellow students. This was one of my favorites parts of the conference last year, and the same goes for this year. Session Four: Agents, Lawyers and Celebrities… Oh My! This was probably my favorite session of the day, because I am very interested in music/entertainment PR. The panelists for this session included Carmen Davenporte- McNeal (TBS, Inc.), Craig Hodges (Edelman), Beth Marshall (Atlanta Braves) and Jon Steinberg (Atlanta Spirit). 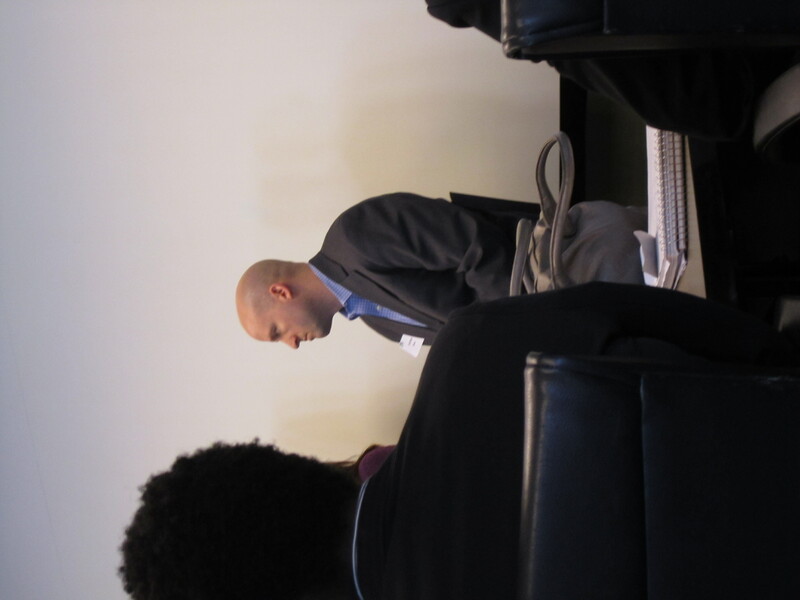 The moderator of this session was Gary McKillips, Atlanta Correspondent for AP Radio Sports and Major League Baseball on Sirius/XM. There’s not a work life balance, there’s a work life blend. If you made it to the end of this post, sorry it was so long! Hope to see everyone there next year! If you attended, what were your favorite sessions/tips from the day? I would love to hear! It is definitely a great one-day conference to attend! Lots of valuable information and great networking opportunities with professionals in Atlanta. 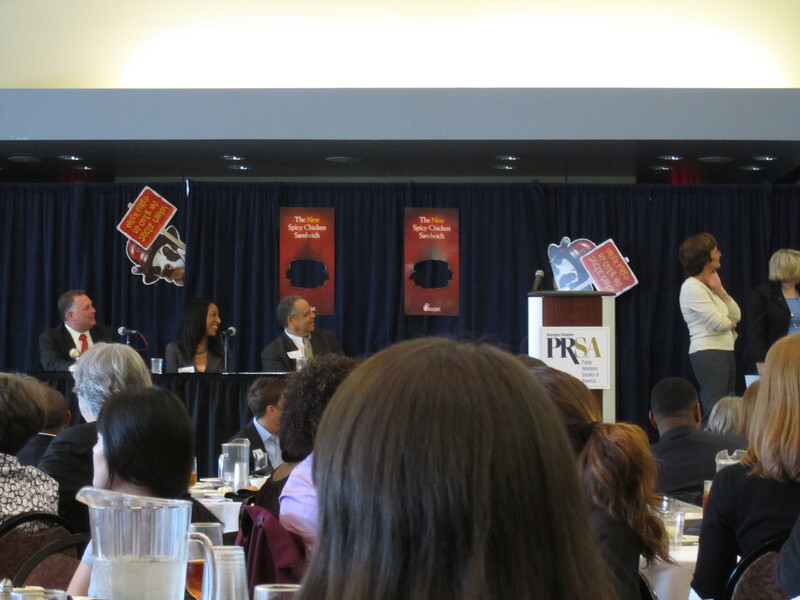 I only have one other conference planned for this year: PRSSA National Conference in October. I went to National Conference in DC this past year and loved it. There are many other conferences I want to attend, but being a college student funding for travel is low. Definitely would love to get to SXSW in the future, along with Social Fresh. What about you? Well, I really need to get to SxSW, CES, Social Fresh, and a few others along the way!!! Agreed! A lot of great conferences… if only travel was free, haha.